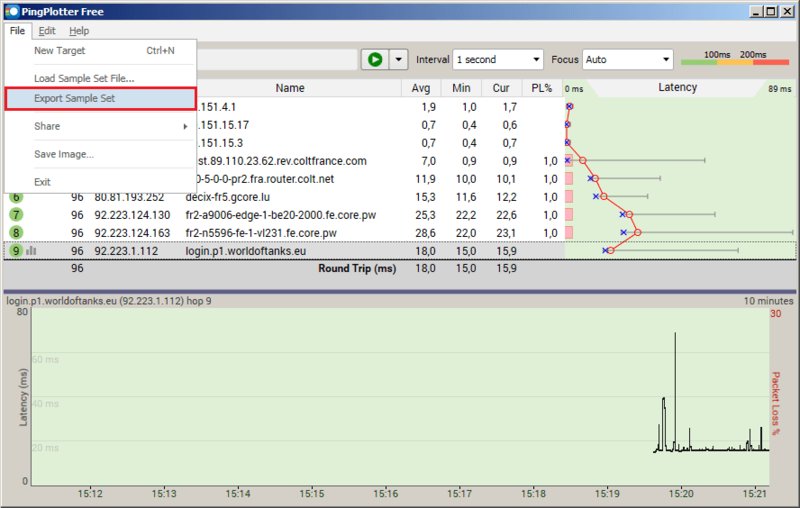 PingPlotter is a 3rd party software which will create a report of your Network performance. This will allow us to see if there's any issue with the path and the quality of the connection between your home router/modem and our servers. In order to create the related report, please download and install Pingplotter. 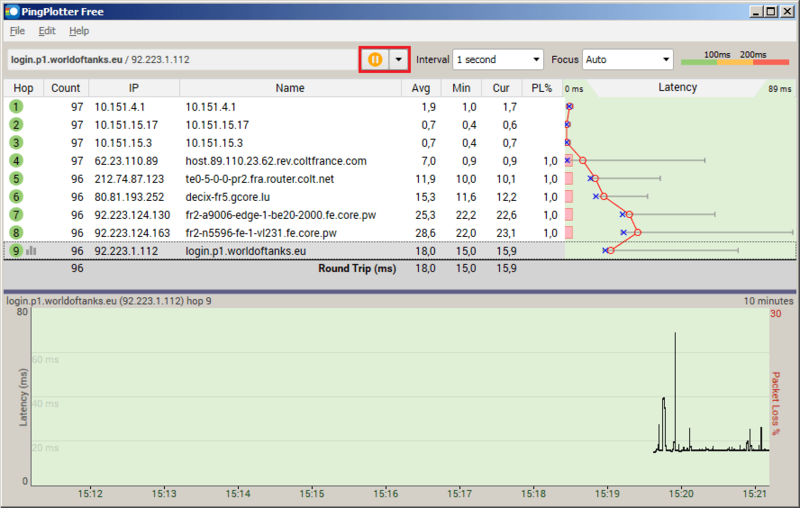 If you want to analyze your connection on your own, we have a guide on how to read a PingPlotter report. After Pingplotter has been installed on your system, please make sure any network-hungry programs you may have running, such as P2P torrent downloads, Skype, your internet browser (IE, Mozilla Firefox, Opera), etc. remain closed. 2. Set the Trace interval to 1 second. 3. Press the Start button to check your Network. Make sure you run Pingplotter while you are playing and for at least 30 min. For World of Tanks, run it while playing on both servers. Please also send us the replays of the battles played while running Pingplotter. 3. 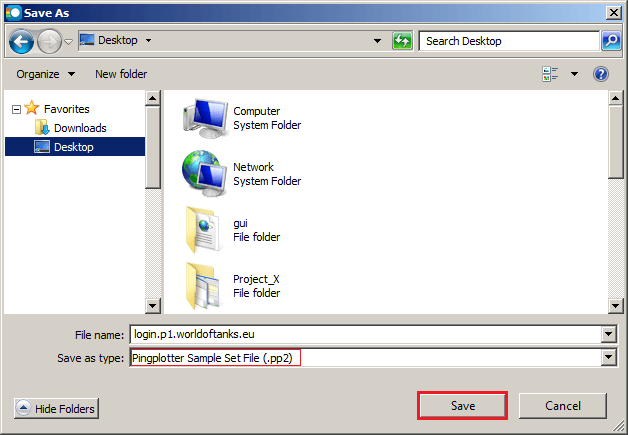 Click on File and on the drop down menu, click on Export Sample Set to save the *.pp2 report file to your chosen destination. After that, attach both the replays and the PingPlotter report/s to your ticket.